Prior to MNA acquisition, this area was locally called Schenck Woods. The Detroit Audubon Society owns three parcels on either side of the sanctuary totaling 172.5 acres, named the St. Clair Woods Nature Sanctuary. In 1982, the MNA tract was renamed Jasper Woods as a memorial to Elmer and Irene Jasper, two founding MNA members who served as officers during its early years. Elmer was born in Casco Township, not far from the sanctuary. 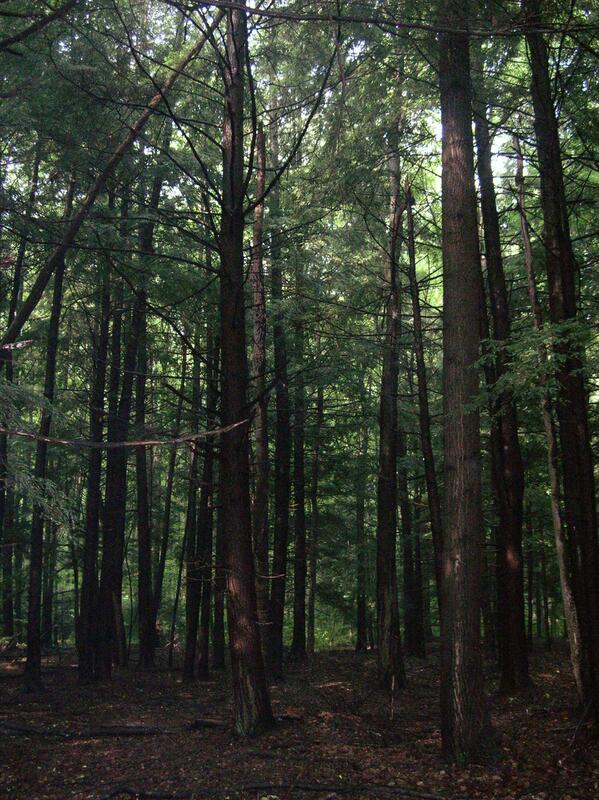 Jasper Woods is a cool, northern forest consisting principally of hemlock, white pine, maple, oak, cherry, and birches. The forest’s most prominent feature is the groves of hemlock on the southern portion of the sanctuary. The area’s lake-moderated climate creates cold pockets on the north-facing slopes, while its acidic, humus-rich soil supports species that rarely thrive this far south. Red, white, and painted trillium all occur in Jasper Woods, each blooming at slightly different times of the season and in different habitats. Red trillium is earliest and can be found in the forest’s rich wet deciduous woods. It typically blooms in early May, depending upon spring weather conditions. White trillium begins to bloom a few days later and appears in drier woodlands, especially on the west side of the sand trail that ends at a private gate. Painted trillium appears latest, from mid- to late May. In addition to trillium, Jasper Woods is home to various species of shrubs, flowering plants and ferns. 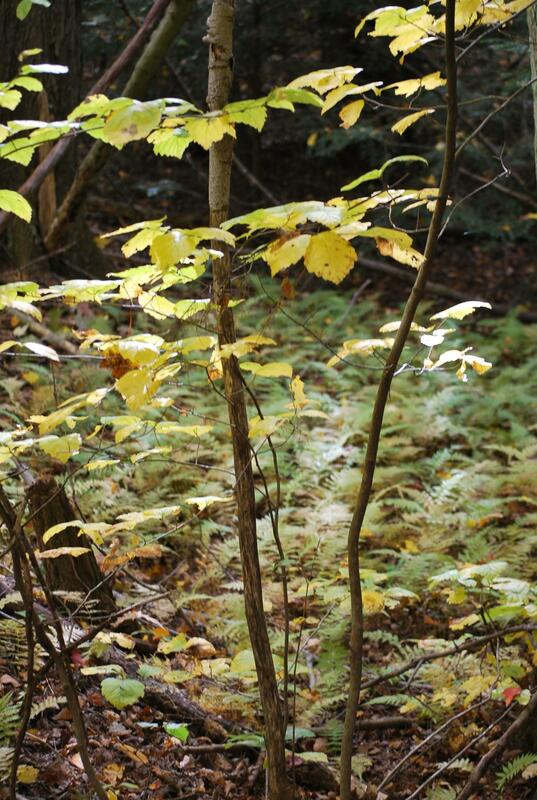 Shrubs growing in the sanctuary include northern arrowhead, chokeberry, Michigan Holly, and maple-leaved viburnum. Some of the sanctuary’s early flowering plants include wood anemone, blue cohosh, and saprophytes such as Indian pipes. Multiple species of ferns grow in Jasper Woods. Jasper Woods is an excellent place for bird watching and provides habitat for many species of nesting birds, including the wood duck, rose-breasted grosbeak, ruby-throated hummingbird and black-throated green warbler. Jasper Woods has a short trail, but visitors are free to explore the sanctuary at their leisure. The neighboring St. Clair Woods Nature Sanctuary has a 1.5-mile loop trail that passes through several distinct habitats. Trillium are scattered throughout Jasper Woods and bloom from early to late May. The sanctuary is also excellent for bird watching. Visitors can spot a variety of nesting birds, including least flycatcher, scarlet tanager, warbling vireo, and mourning warbler. Take exit the Taylor Rd exit off I-69 south until Taylor Rd./Dunlap Road turns into a sand road at Griswold Rd. Follow the sand road to the sanctuary sign and parking area.